The proposed merger of GE Transportation and Wabtec promises to create one of the global rail industry’s biggest suppliers. By combining the two juggernauts, an $8 billion revenue business with around 27,000 employees and operations in more than 50 countries will surface. Not only that, it will be among the top 500 companies in the United States and a transportation leader in rail equipment, software and services. 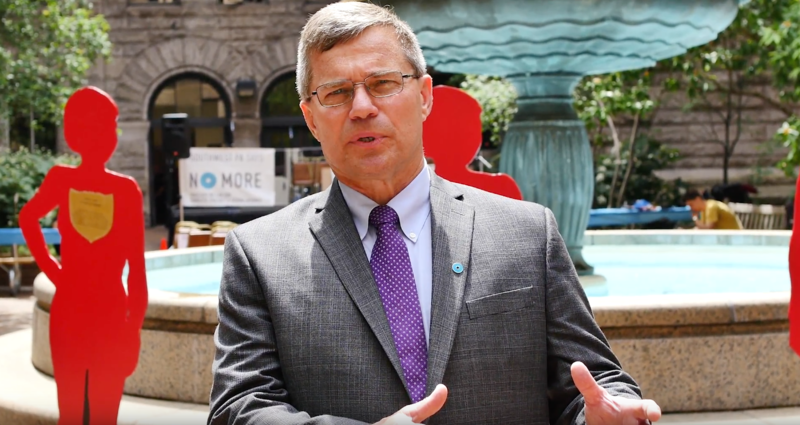 There has already been tough talk from Wabtec CEO Ray Betler, who said the combined business will be able to “aggressively” compete on the world stage. Should the $11.1 billion move – which will see GE Transportation merge with a wholly owned subsidiary of Wabtec – go ahead, it will represent the latest in a long list of specialist companies acquired by Wabtec in its near 150-year history. Wabtec CEO Ray Betler. Photo: YouTube. Acquisitions from core or adjacent markets have become a pillar to Wabtec’s ambitious growth strategy – one that has seen its annual sales balloon from $1.1 billion in 1999 to $3.9 billion in 2017. These strategic takeovers have represented a significant portion of the company’s growth. A spokesperson said that Wabtec looks to acquire businesses that are a “strong strategic fit” to its product portfolio or market footprint and, with its latest addition, it shows no sign of slowing down. So how did the company get to this point? As it prepares to shake-up the rail supplier market with its biggest purchase yet, Global Rail News takes a look back at some of Wabtec’s most notable acquisitions in recent years. Below is a timeline highlighting the diverse range of companies that have joined the company following the merger of Westinghouse Air Brake Company and locomotive manufacturer MotivePower Industries in 1999, forming Wabtec, including details of their size at the time of the deal, and the value of the transaction if it was disclosed. October: Schaefer Equipment, a manufacturer of freight car brake components in Ohio, US, with annual sales of $30 million, is acquired by Wabtec for $37 million. November: The takeover of Germany-based Becorit, a friction products maker, for $51 million is complete. Becorit has annual sales of $30 million. June: Wheelchair lift and ramp supplier Ricon is purchased for around $74 million. Ricon, of California, US, also produces anti-graffiti windows and provides Wabtec with a significant step into the bus sector. June: Wabtec completes the takeover of Italian brake maker POLI for a fee of around $82 million. POLI products include brake discs for high-speed trains. December: The purchase of Standard Car Truck, of Illinois, US, for $303 million is announced. The company is a leading provider of freight car stabilisation systems. October: Canada’s Unifin International and its affiliate Cardinal Pumps & Exchangers joins Wabtec in a $93 million deal. Unifin makes cooling systems for the power industry. March: US signal engineering and design services provider Xorail, Florida, is purchased for $40 million. July: Almost $32 million is spent buying G&B Specialties, a Pennsylvania, US, manufacturer of railroad track and signalling products. August: Bach-Simpson, a designer and producer of electronic devices based in Canada, joins the Wabtec family in a $12 million deal. November: Wabtec spends $43 million to acquire Swiger Coil Systems, a manufacturer of traction motors and electric coils based in Ohio, US. It has annual sales of $35 million. December: Wabtec expands its presence in the largest rail market in South America, Brazil, with the acquisition of Adantech. Adantech manufactures a variety of brakes shoes and pads for subway cars, locomotives and freight cars and has annual sales of $2 million. February: Brush Traction Group, known for locomotive overhauls, services and aftermarket components in the UK is bought for $31 million. Brush has annual sales of $55 million. June: Years before buying the entire business, Wabtec spends $21.1 million to takeover a division of GE Transportation’s transit aftermarket parts business, which has annual sales of $15 million. November: Fulmer Company, a leading manufacturer of motor components in North America, is picked up by Wabtec for under $14 million. Fulmer has annual sales of $15 million. Cooling systems manufacturer Bearward Engineering gets taken over in the same month in a $44 million deal. Bearward, based in Northampton, UK, has annual sales of $70 million. June: Wabtec invests $90 million in acquiring Mors Smitt Holding, a leading manufacturer of electronic components. The company has annual sales of $60 million and operations in the Netherlands, the United Kingdom, the US, France, China and Hong Kong. July: Tec Tran, the only US-owned manufacturer of hydraulic braking systems for transit cars joins Wabtec following a $8.3 million takeover. The firm has annual sales of $10 million. Winco Equipamentos Ferroviários, based in Brazil with annual sales of $15 million, joins Wabtec. The marketing and sales and freight car component supplier is purchased for just under $4 million. October: LH Group, an overhauler of diesel engines, transmissions, powerpacks and bogies, becomes the latest in a list of UK engineering firms to join Wabtec. The takeover is valued at $48 million. January: Industrial turbocharger manufacturer Napier Turbochargers, based in Lincoln, UK, is bought by Wabtec for $112.5 million. At the time, Napier Turbochargers had 150 employees and annual sales of $55 million. February: Wabtec acquires Transdyne, a distributor of wear-protection components and other hardware, for $2.4 million. July: Wabtec announces the acquisition of Turbonetics, another turbocharger manufacturer, for $23 million. Turbonetics, California, US, had annual sales of around $15 million and 40 employees at the time of the takeover. September: Speciality rubber product manufacturer Longwood Industries joins Wabtec in a $84 million deal. It has around 450 employees, facilities in the United States and Europe and annual sales of $70 million. February: Leading rail equipment manufacturer Fandstan Electric Group, based in the UK, is bought for $215 million. The Group has around 1,000 members of staff working across Europe, the United States, Australia and China. August: Dia-Frag, a manufacturer of friction products for various markets in Brazil, is acquired for $71 million. It has annual sales of $40 million and around 300 employees. September: C2CE, a railway signal design services provider in Australia, joins Wabtec Corp after a $25 million takeover. The new acquisition has annual sales of $35 million and around 200 employees. February: Railroad Controls and its 500-strong workforce become part of Wabtec. The Texas, US, company installs level-crossing warning signals, wayside and interlocking signals, and positive train control-related equipment and has an annual revenue of $75 million. Wabtec spends $64 million to acquire it. June: Spanish firm Metalocaucho, which primarily makes rubber components for suspension and vibration control systems on high-speed, inter-city and metro passenger cars, is bought for $23 million. Metalocaucho has annual sales of $25 million, around 100 employees and customers in Europe, China and India. October: Wabtec’s capabilities are expanded with the addition of Australian firm Track IQ and its core sensor technology. Purchased for $9 million, Track IQ had annual sales of $15 million. Systems joins the major rail equipment supplier in a $19 million deal. The company is a manufacturer of electrical protection and control products with annual sales of $15 million. May: Two acquisitions are announced at once when Unitrac Railroad Materials and Pride Bodies join the company, the former for $14 million. The US suppliers of a variety of track-related products and services have combined annual sales of $45 million. August: Belgium manufacturer Gerken Group, which makes carbon and graphite products and has annual sales of $40 million, is bought for $63 million. October: AM Rail Group, a UK-based designer of complex signalling systems, becomes Wabtec Control Systems UK. November: Indiana-based Precision Turbo & Engine is taken over for $14 million. The company designs, manufactures and tests high-performance, aftermarket turbochargers. December: Wabtec announces it has acquired majority ownership of French firm Faiveley Transport, a leading global provider of value-added, integrated systems and services, for a reported $1.7 billion. Workhorse Rail, a Pennsylvania-based supplier of engineered freight car components in the US with annual sales of $35 million, is taken over in the same month. Wabtec pays $44 million for the company. March: Aero Transportation Products, of Missouri, US, becomes part of Wabtec following a $65 million purchase. The manufacturer of hatch covers and outlet gates for freight cars has annual sales of $40 million. April: Wabtec buys Thermal Transport Corporation, a heat exchanger manufacturer in Pennsylvania, US, for $33 million and Danish firm Semvac Group, which designs, manufactures and supplies toilet systems, toilet cabins and toilet parts for transit vehicles, as well. October: Safety systems manufacturer AM General Contractor joins Wabtec. The Italian company has annual sales of $25 million. 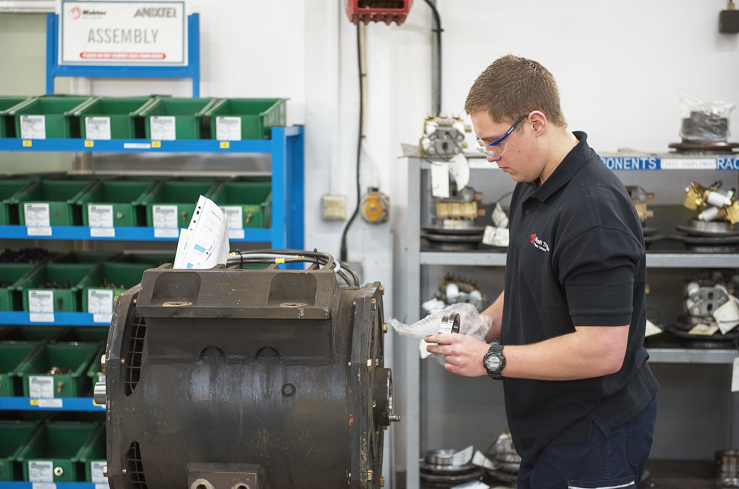 December: Wabtec picks up turbocharger manufacturer Melett, of Barnsley, UK, for $74 million. The firm has customers in more than 100 countries and annual sales of $40 million. Also in December, Axiom Rail Components joins the Wabtec Group. Axiom supplies bogies and adaptable suspension systems for rail freight wagons. 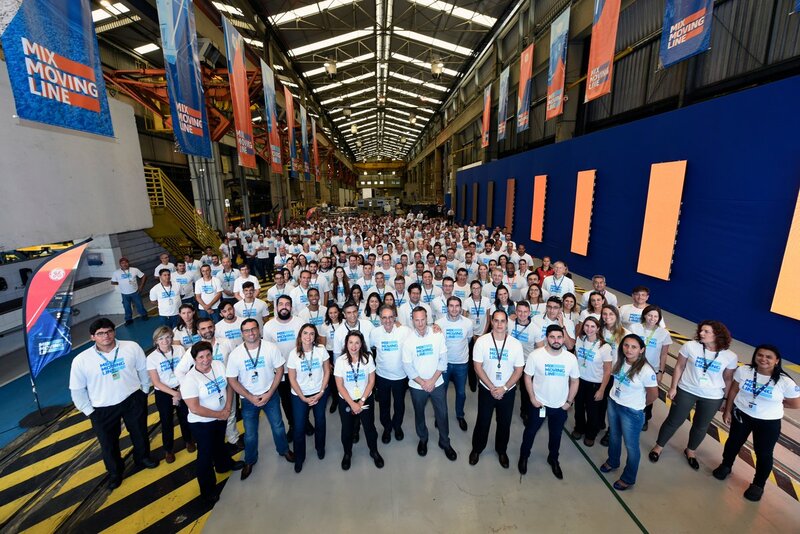 Staff at GE Transportation’s plant in Contagem, Brazil. Photo: GE Transportation. February: Wabtec buys Lynxrail, an Australian manufacturer of vision-based wayside inspection systems, for an undisclosed sum. March: Annax, a supplier of a number of communication systems, including: public address and passenger information systems, becomes one of the latest firms to join the US rail equipment giant. Headquartered in Germany with operations in Switzerland and China, Annax has annual sales of $55 million. May: “This is truly a once in a lifetime opportunity” says Wabtec CEO and president Ray Betler as his company announces the proposed $11.1 billion deal to merge with one of its long-term clients, GE Transportation. The deal is expected to be concluded in early 2019 should it get approval by Wabtec shareholders and regulatory approvals. Note: The above is not intended to be an exhaustive list of all acquisitions made by Wabtec but to highlight many of the most significant deals.